Helllllooo out there today. 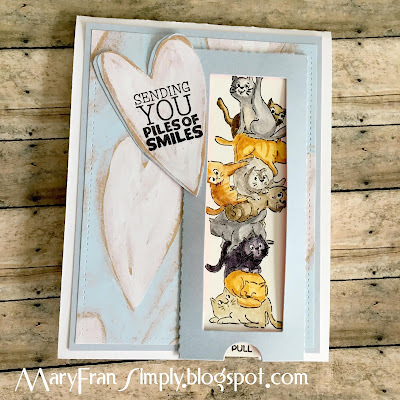 I finished making a little Valentine's Day card for my grand baby and found a challenge that fit: Simon Says Stamp Wednesday Challenge - yay! 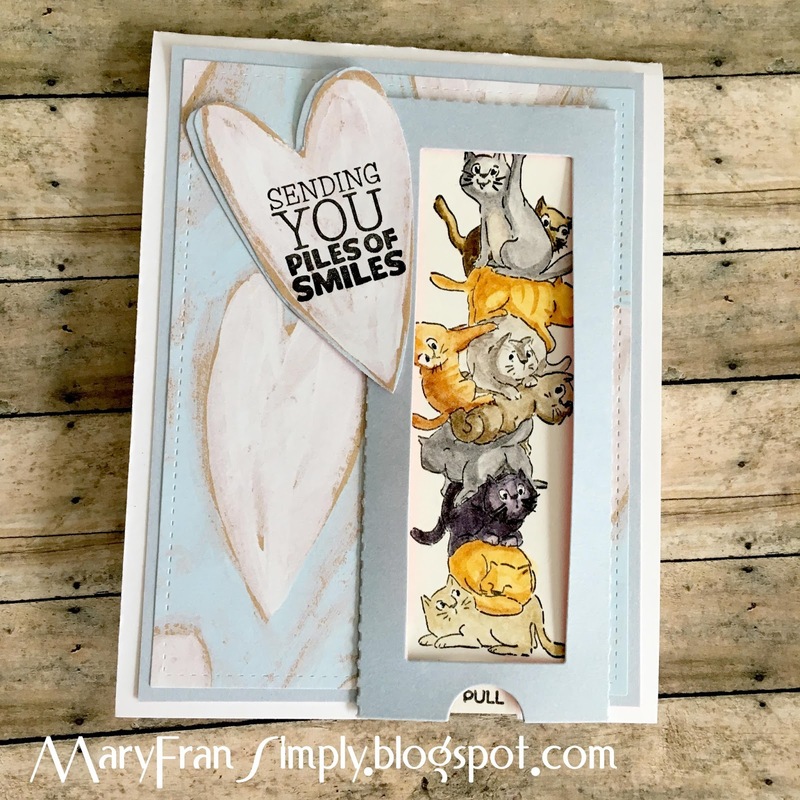 I know the idea of these stackers would be to show only perhaps the top kitty and then pulling a piece of plain cardstock down to show the rest, but I like the idea of showing every one of them all at once. 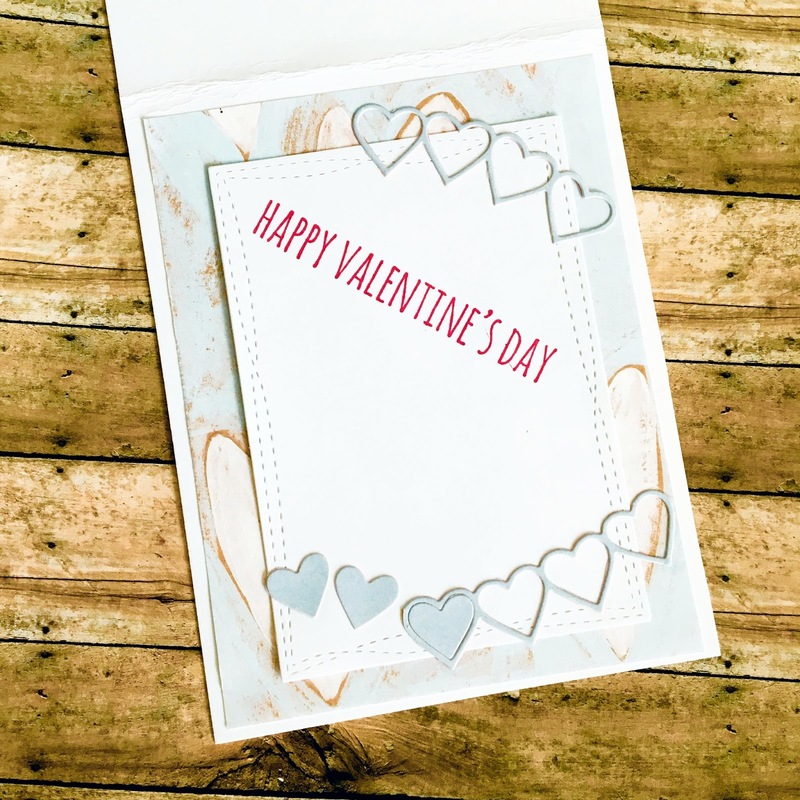 I found some heart patterned paper in my stash and layered it on top of some matching plain blue and cut out one of the hearts to stamp the sentiment. I cut the stacker slider die from the plain blue and mounted all to a plain white card base. I stamped the cats on some watercolor paper and colored them with my zigs. 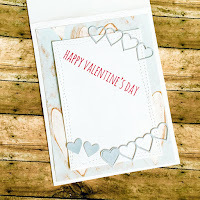 I stamped 'Happy Valentine's Day' on the inside and die cut a heart banner to dress it up on the inside. Thanks very much for reading this, and the materials used are listed way at the bottom.